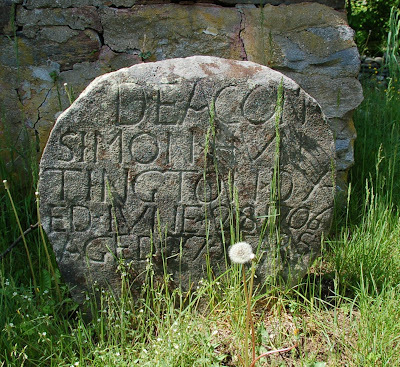 No one knows the identity of the Norwich Ovoid Carver, who was responsible for some of the oldest extant gravestones in eastern Connecticut. The round shape is unusual and a bit rough, but the letter forms are confident, even if they are a bit wonky. I don't know why the carver separated some words with little crosses.